We will provide a sound system appropriate to your needs and run it at volumes that meet your requirements. 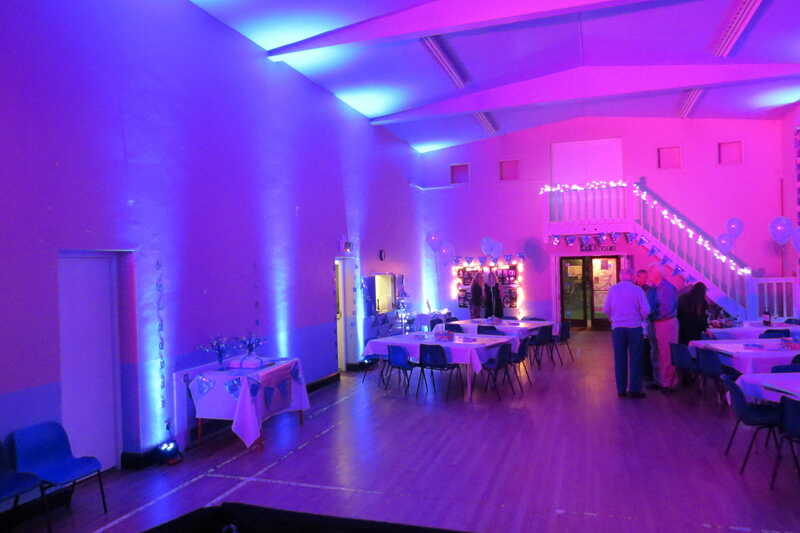 With the use of intelligent lighting, your all important first dance will not be ruined by madly flashing lights. You can request as many songs as you like before your event. We will fit them together to make a great night.With your permission we will happily take requests on the night. Your DJ will dress smartly as the occasion requires. Should you require it we can also arrange to meet with you before your event. Please bear in mind while choosing your songs, that most parties are around 4 to 5 hours and your average song being 3 to 4 minutes long we will have time for approximately 75 songs, less with announcements, speeches etc. and don’t forget the requests from your guests on the night. So it’s worth thinking about the songs you and your guests would want to dance to rather than a list of all your favourite songs. Using modern LED lighting and computer technology we can transform your venue from its existing every day form to one with an incredible atmosphere. With the aid of vibrant colours of your choice. Complimenting your colour scheme, our lighting can bring the room to life providing a sophisticated, elegant look to almost any room. We will deliver and install our lighting at your venue prior to the start of your function, ready for your enjoyment. It can be of great benefit to pay for an early setup. Usually when timings are tight or access to the venue is limited. This can also be combined with our background music service. 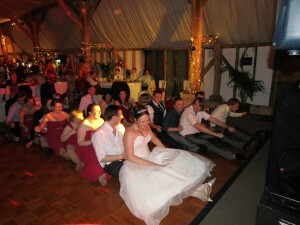 It can save time and hassle later in the day when getting ready for the evenings entertainment. Please ask for details. For your Wedding breakfast along with an early setup. Our fully managed background music service can keep your guests entertained. Adapting it to the tastes of your guests, by accepting requests and incorporating any of your own favourites you have chosen. Background music is currently only available combined with the early setup but is not automatically included. We confirm all bookings in writing and issue contracts to all our clients. Welcome lists of your favourite tunes which we will play at your party. Accept requests on the night. We aim to reply to all e-mails within 24 hours wherever possible and always return your phone calls. Carry a wide variety of music from the swinging 60’s to the present day. Any special musical requests should be made clear at the time of booking to avoid disappointment. If you need a disco that will play the kind of music you want to hear then give us a ring. You wont be disappointed. 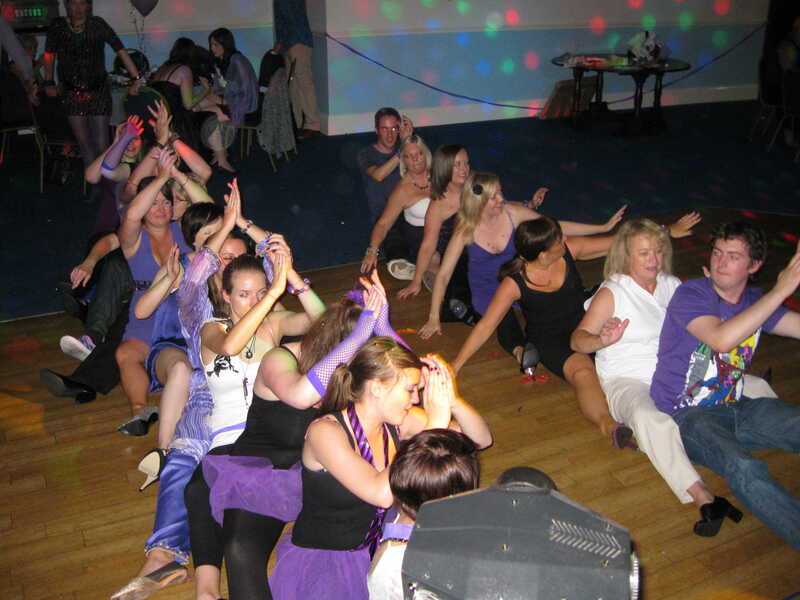 When you book our Mobile Disco Services, A.R.C. Disco we won’t let you down. 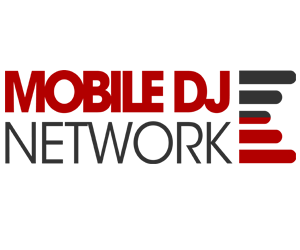 We do not hire other Dj’s to do events we are booked for. Remember that it’s YOUR function… We do!